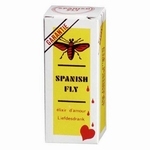 Spanish Fly Extra, 15 ml - meer. Spanish Fly - Desire - meer. Spanish Fly - Hot Passion - meer. Spanish Fly - Pasion Intenso - meer. Spanish Fly Lustopwekker, 15ml, Blackberry Mix - meer. Spanish Fly Lustopwekker, 15ml, Caramel Fudge - meer. 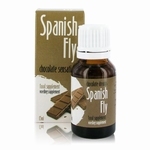 Spanish Fly Lustopwekker, 15ml, Chocolate Sensation - meer. Spanish Fly Lustopwekker, 15ml, Cola Kids - meer. 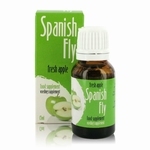 Spanish Fly Lustopwekker, 15ml, Fresh Apple - meer. 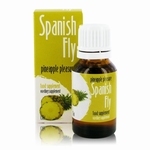 Spanish Fly Lustopwekker, 15ml, Pineapple Pleasure - meer. 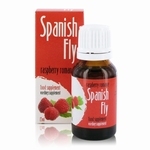 Spanish Fly Lustopwekker, 15ml, Raspberry Romance - meer. 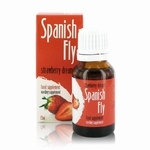 Spanish Fly Lustopwekker, 15ml, Strawberry Dreams - meer. 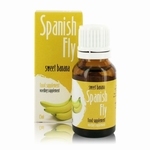 Spanish Fly Lustopwekker, 15ml, Sweet Banana - meer. 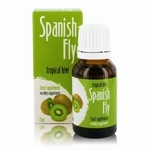 Spanish Fly Lustopwekker, 15ml, Tropical Kiwi - meer.